I’m always fascinated by my friend’s famous relatives. Growing up, there was the family related to Claude Pepper, which was pretty cool. My sister taught a girl whose godfather was Peter O’Toole – also, very boss. I am college chums with the grand-nephew of Claus von Stauffenberg, as portrayed by Tom Cruise in the film Valkyrie. And a family I adore is distantly related to Danny Kaye – very excellent. And then there’s our famous relative: Gene Pool. Yes, my mother’s third cousin is that weird dude who grows grass on everything. 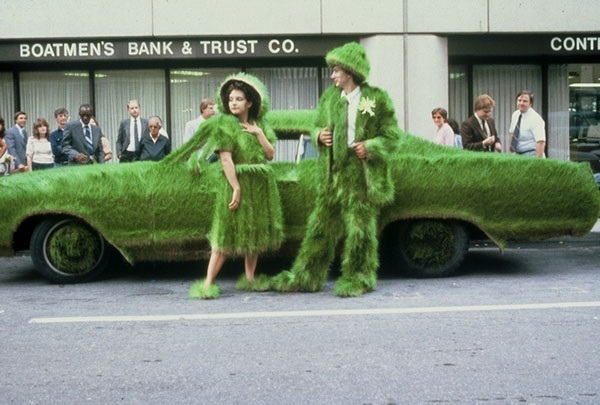 In his defense, Gene was a trailblazer – caring for the environment, making a statement, and quite frankly, an internet sensation that predated the internet. He has been in a couple of commercials and was featured in People magazine a time or two. And he IS in the Guinness Book of World Records, which impresses grade schoolers around the country. But I would be pretty excited if somehow I was also distantly related to a Grammy winner or something.